NZ Taste: Things that make me smile. 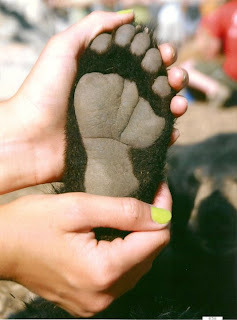 My mate says she uses her blog to post pictures she loves from the internet so I think I will follow suit :) This picture is my friend Morgan holding a bears foot. I think it is so beautiful. She is working in a bear park in the US.